Towards the end of last month, we covered off the exciting results of Athelney’s EGM (All change please!) and the subsequent resignation of new appointee Paul Coffin, who subsequently resigned a few days later, leaving the other new appointee, David Lawman as the sole director of the trust. Well, since this time, David has not rested on his laurels and there have been two new appointments to the board, meaning that David is no longer so lonely at the top. Frank Ashton joined the board on 25 January, while Helen Sachdev joined on 11 February. Frank was also appointed as chairman on 11 February. According to Athelney’s announcement, Frank Ashton, aged 57, is a highly experienced senior manager and independent management consultant. After leaving Cambridge University with a Natural Sciences degree (Metallurgy & Materials Science), he spent much of his career providing independent management advice to companies in a wide variety of sectors. Frank spent 15 years at PricewaterhouseCoopers and KPMG (Operational Due Diligence), and 5 years working in Strategy and M&A for Cummins Inc. The announcement says that Frank has a proven track record in shareholder value creation and governance, in providing strategic and operational advice to both public and private companies in Europe and USA, as well as working at a policy level for Government entities. Helen Sachdev, aged 53, is currently Non-Executive Director and Audit Chair of Loughborough Building Society, and was Non-Executive Director of Communisis Plc, until its acquisition in December 2018. Helen is also currently a Director with the coaching consultancy, WOMBA. Helen is a Fellow of the Chartered Institute of Management Accountants and has a BA (Hons) in Retail Marketing from Manchester Metropolitan University. 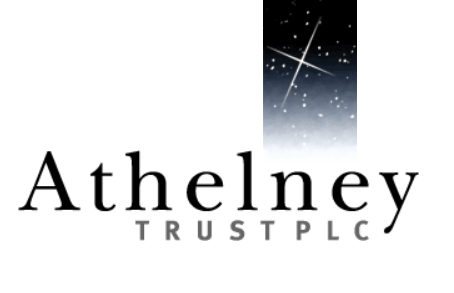 Athelney’s announcement says that Helen brings a wealth of experience as a non-executive director, underpinned by extensive blue chip executive experience having worked in senior positions at Barclays plc, Tesco and Sainsbury’s, and that she has a proven track record of operational expertise, corporate development and strategy implementation. Athelney Trust – All change please!